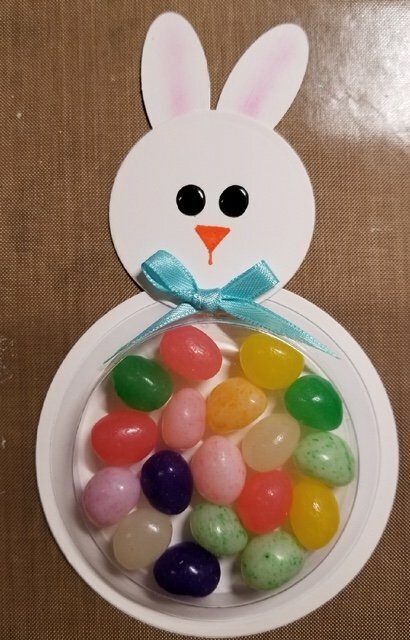 March's MNT an adorable Easter project! Please allow about 20 minutes to complete the project & sign-in at the store when you arrive...you can shop while you wait for your turn. Did you hear? We announced a new Rewards program just for our Make-N-Takes at Scrappin' In The City. Every time you join us and create one of our free make-n-takes or demonstrations in the store, we will give you a punch on your punch card... after making 5 creations with us, you'll receive $10 off your next purchase!!! Free money for a free craft project??? Yes, Yes, Yes!! Don't miss out on your chance to create with us and get another punch. And the best part is, its free!! **New policy for MNT Rewards** All MNT Rewards punchcards will now expire 3 months after filling the punchcard. So, you'll have 3 full months to spend your free money!